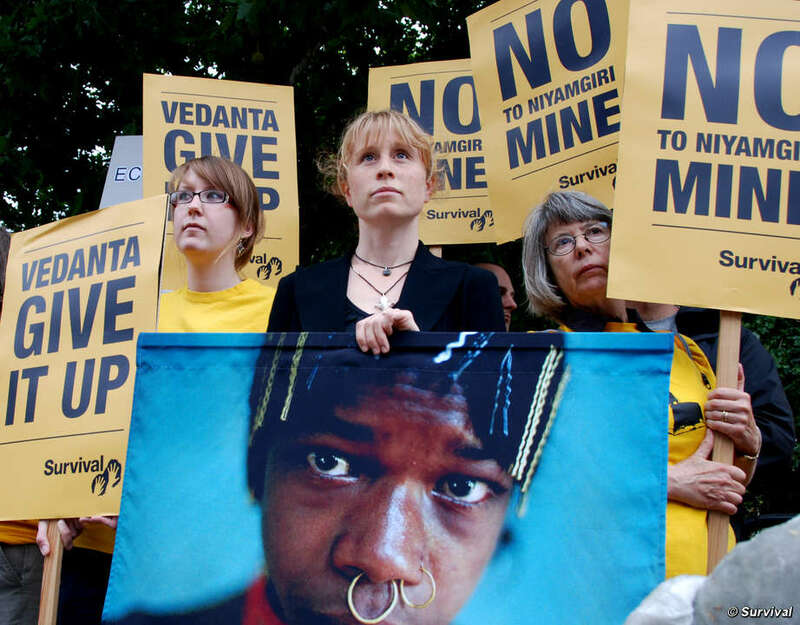 Protesters gathered outside Vedanta&apos;s 2011 AGM. 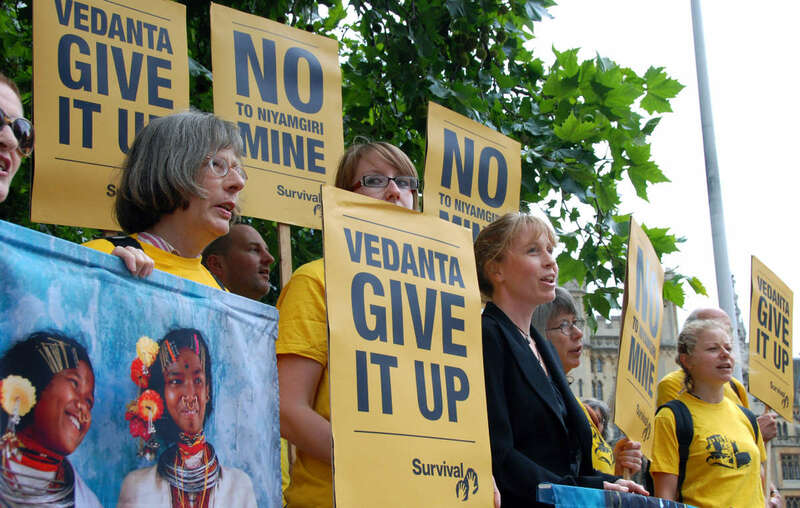 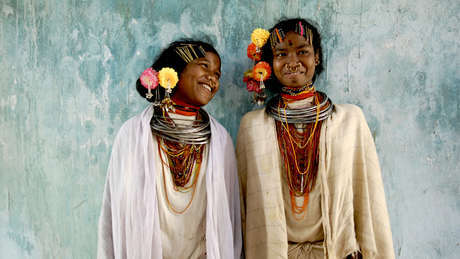 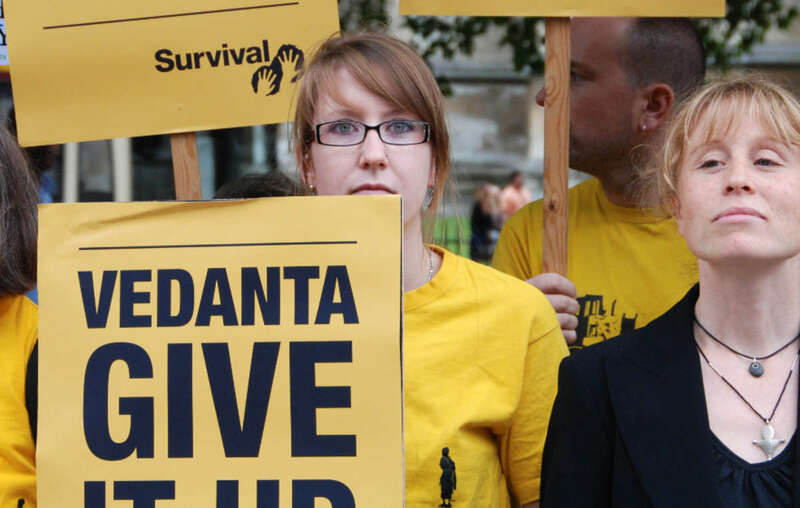 FTSE100 company Vedanta Resources faced vocal protests from Survival and other groups telling the company to give up on their notorious Niyamgiri mine in Orissa, India. 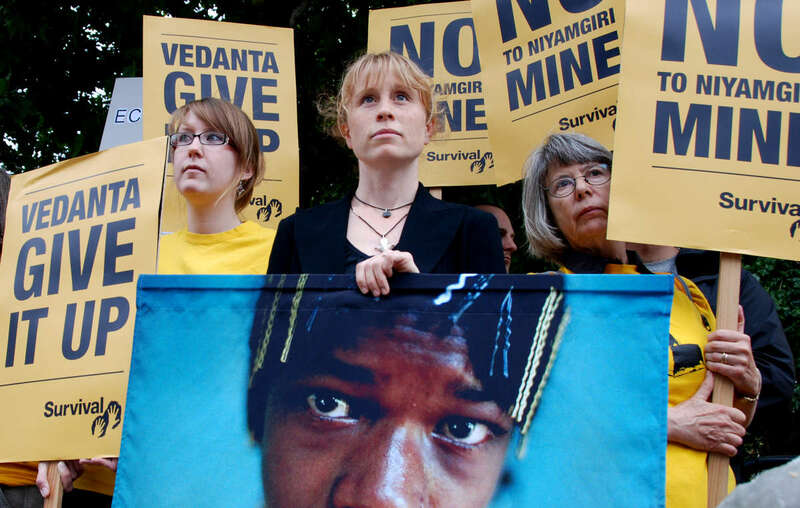 Vedanta was denied permission to mine in the Niyamgiri Hills, home of the Dongria Kondh tribe who have been vigorously protesting against the mine. 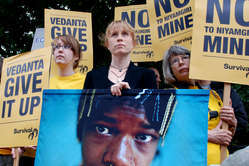 Now the issue has returned to India’s Supreme Court. 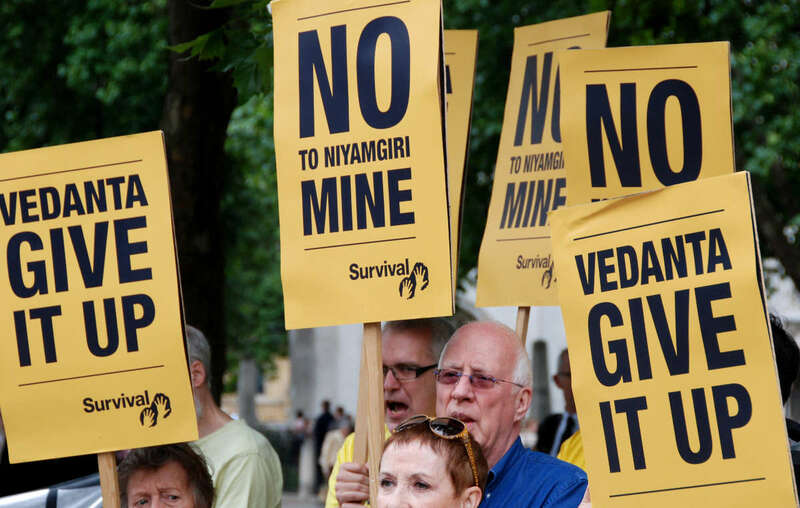 At today’s AGM the company was told by protesters inside and outside the meeting to respect the stance of both the government and the Dongria Kondh and to give up on the Niyamgiri mine. 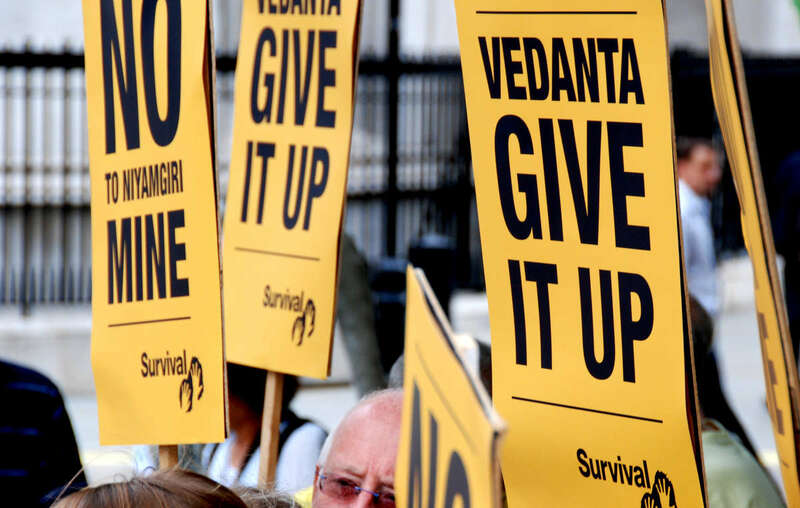 Survival protesters tell Vedanta to give up on the Niyamgiri mine in India. 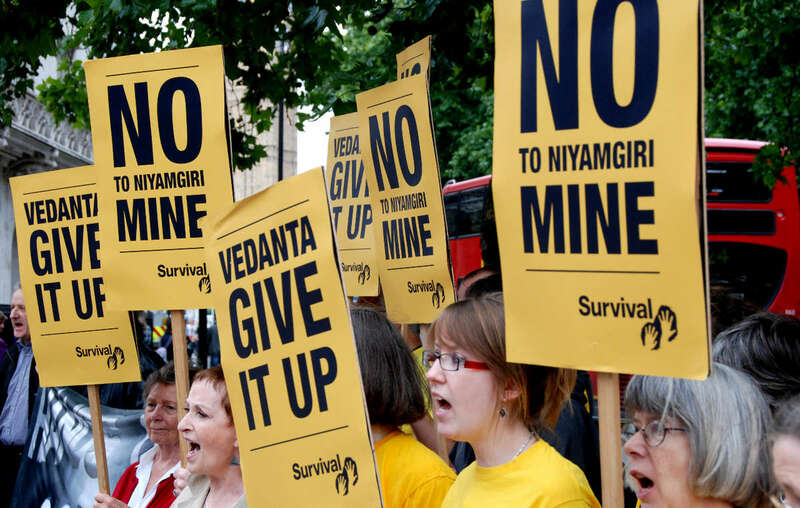 Several shareholders have disinvested a total of over US$40m from Vedanta in protest over the Niyamgiri mine project and other concerns over the company’s human rights and environmental record. 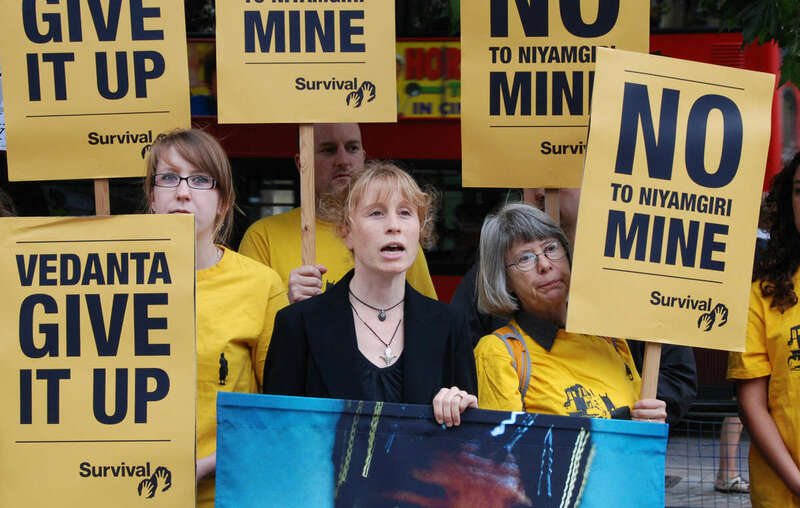 Asset manager Aviva Investors declared in advance of today’s meeting that it would not support key AGM resolutions due to concerns over the company’s behaviour.